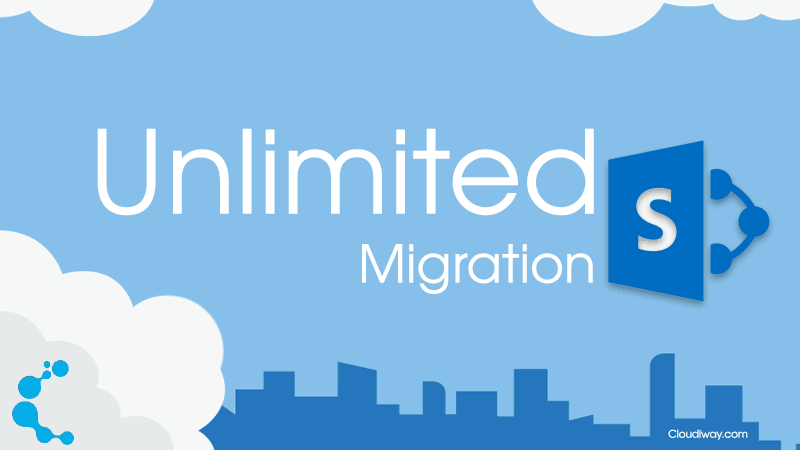 Cloudiway’s unlimited SharePoint migration is coming! Satya Nadella has defined Microsoft’s next challenge by saying: “Empower every person and every organization on the planet to achieve more”. The global and expanding demand for cloud solutions has driven the computing sector to change and improve its sales, marketing and technical approach with customers. The focus is now clearly to push productivity to its highest level by partnering with managed service providers and engineering success with end users. Cloudiway is a major player in this shift with the launch of a new solution providing unlimited SharePoint migration to the cloud. “Improving business performance by delivering advanced services and greater flexibility is our top priority”, says Sacha Blaise, Marketing Manager. Moving seamlessly to SharePoint Online is not something easy – especially with customized components (web parts, master page, etc…). This challenge may cause a project to be delayed or to go over budget, costing precious resources and putting businesses at risk. With a straightforward approach, Cloudiway wants to prevent organisations from facing crisis situations by offering direct shortcuts at each step of a SharePoint migration. Available from any web browser Cloudiway’s platform will provide this solution as a 1-year subscription with no limit of projects or users. The unlimited SharePoint migration solution will include a range of features such as auditing and reporting tools to fully migrate all your collaborative content with high fidelity. The short sales process and the speedy setup together with competitive pricing are strong benefits for the users. In addition, the dedicated team of consultants and experts can deliver an extra value by helping and supporting all projects with convenience during business hours or weekends. Please check our SLA statement for more details. Follow us to keep up with more information about this exciting product launch.